NHS England commissioned The Reporters’ Academy to produce a vibrant film of how NHS England is currently engaging with young people. This to include ideas for how local teams could amplify the voice of young people in their local health services. To include sound bites from young people and system leaders. Over two days TRA met, interviewed and filmed the organisers and young people that were associated with national NHS projects. Our team was made up of 50% of Children in Care, experiencing their first ‘real life’ production. The film was shown at the NHS England Annual General Meeting and embedded on NHS websites. 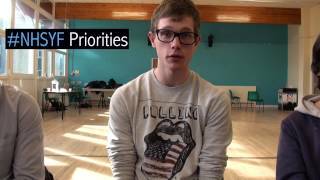 The Reporters\' Academy worked with the NHS to find out what its doing to prioritise children and young people.